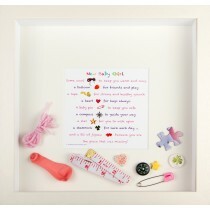 A gift in a frame – a fun and beautiful way to connect with loved ones! 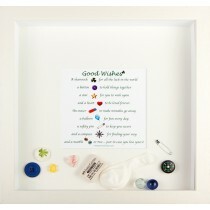 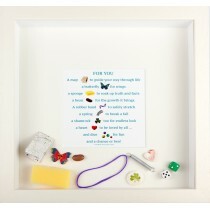 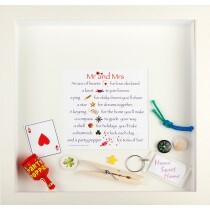 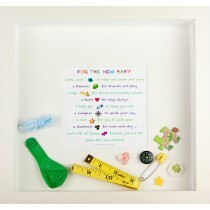 Each frame contains a beautifully crafted poem and free moving good luck objects which relate to a special wish. 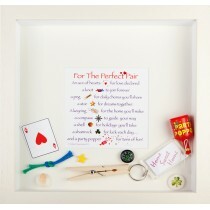 A uniquely special gift – one to be cherished and ideal for a wide range of occasions! 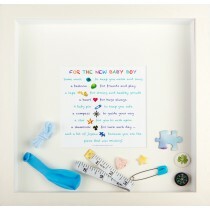 Frames are all high quality wood with a lined neutral finish.